IOM’s Vienna Regional Office participated as a speaker at a side event under the auspices of the Permanent Mission of the Republic of Belarus to the OSCE and the UNODC, addressing the influence of digital technologies on trafficking in persons, especially child trafficking. Sacha Chan Kam, IOM Senior Regional Migration Protection and Assistance Specialist outlined how the influence of technology had changed the modus operandi of traffickers in recent years. “The very same technologies that many of us use on a daily basis are thus being co-opted for the purposes of exploitation,” Chan Kam explained. 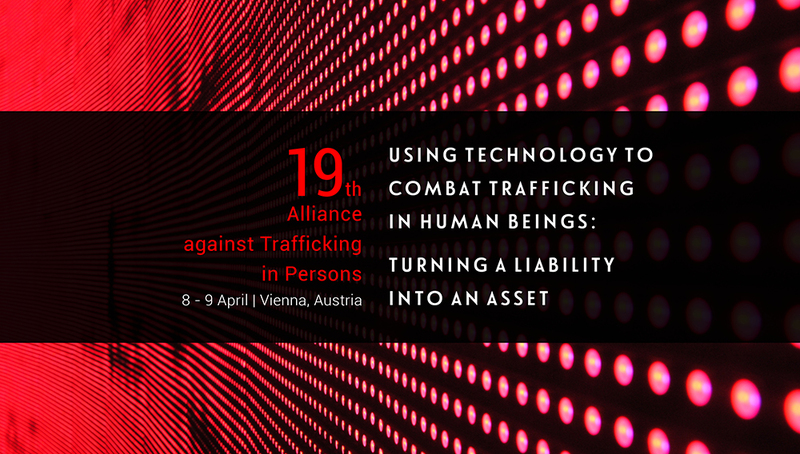 There is an upside to the technology/trafficking nexus, he noted, with new technology playing a significant role in addressing data gaps, particularly in the context of law enforcement and services for victims. Technology also can improve data visibility and increase the efficiency of data flows, leading to more effective use of resources and coordination between business, government and civil society. Chan Kam pointed to two current initiatives which aimed to fill the data vacuum. IOM, in partnership with the NGO Polaris, launched the Counter-Trafficking Data Collaborative in November 2017. That partnership is the first global data hub on human trafficking, with data contributed by counter-trafficking organizations worldwide. The network now has primary, de-identified data on nearly 90,000 victims of human trafficking, from 170 nationalities exploited in 170 countries. These data are from cases assisted by IOM, the US human trafficking hotline operated by Polaris, and Liberty Asia’s NGO partners. In addition, IOM is also making use of its proprietary Displacement Tracking Matrix to identify potential and actual risks of trafficking in several countries and to respond to the needs of both identified victims and at-risk populations, especially children. A panel discussion organized by the OSCE Office for Democratic Institutions and Human Rights (ODIHR) and the Strategic Police Matters Unit of the OSCE Transnational Threats Department brought together representatives of ODIHR, the United States Department of Health and Human Services, the Commissioner of the President of Ukraine for Children’s Rights, the Spanish National Police, Western Union, Thorn, a non-profit group working to combat child trafficking, and a trafficking survivor leader. Speakers and participants highlighted that only a small fraction of the estimated 40 million victims of trafficking in human beings have currently been identified. As technology and globalization increasingly connect the world, traffickers’ ability to recruit and exploit their victims, especially children, has also exponentially increased and moved online.